Newton Aycliffe travelled to second-placed Consett and came away with a well earned point in a 1-1 draw. 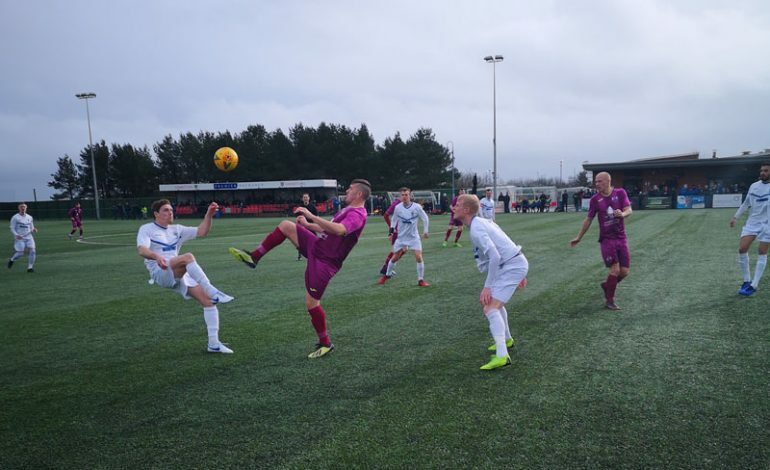 A strong wind was blowing down the ground, and this affected the play, with Consett having the better of the first half and Aycliffe getting the upper hand in the second half. The early exchanges were even, with Juul shooting straight at Adam Pickford in the Aycliffe goal, and Shaun Hudson repeating the feat, shooting straight at Hayes in the Consett goal. Consett took the lead on 17 minutes. A cross was headed clear but went straight to Sweet, who volleyed a shot into the corner of the net. Consett then had a spell of pressure, with Mackay, Purewal and Juul all hitting shots wide. Aycliffe fashioned a good move on 36 minutes which ended with Hayes producing a good save from Hudson. Consett came straight back and Pickford made a great save from a Craggs free kick, tipping the ball over the bar. Pickford made an even better save four minutes later when Mackay hit a strong shot from distance which required a dive at full stretch to stop. Aycliffe had the wind behind them in the second half, and they got off to a great start. Ethan Wood picked up a loose ball, dribbled past three players and drove a low shot into the corner for 1-1. Aycliffe got on top, with man-of-the match Kevin Carr prompting attacks. Kurt Matthews and Carr both got shots away but didn’t trouble Hayes. Smith hit a good shot for Consett narrowly wide on 76 minutes. Aycliffe were unlucky a minute later when Consett somehow scrambled the ball away off the line. Ethan Wood nearly won it for Aycliffe in injury time when his shot came back off the post. Final score 1-1. Aycliffe’s next match is away to Sunderland RCA on Saturday (March 23, 3pm).